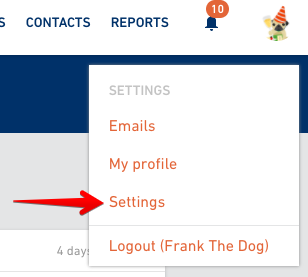 You can turn email notifications on or off if you want or don't want to receive account updates via email. 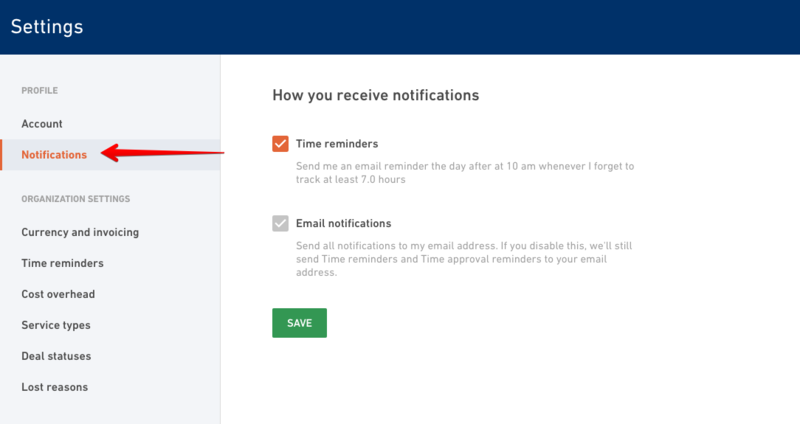 Productive will send you e-mail notifications to remind you to track your time, unless you turn it off. Read here about changing settings for Time reminders. Productive will also send an e-mail when something happens on a project/deal/budget you're subscribed to. Someone closed a task, or assigned you one, or mentioned you in a comment, or marked a deal as won... you'll be notified about everything you're keeping a track of. If you want to turn it off, uncheck the checkmark next to E-mail notifications.